I just got this great building toy called Click-A-Brick. 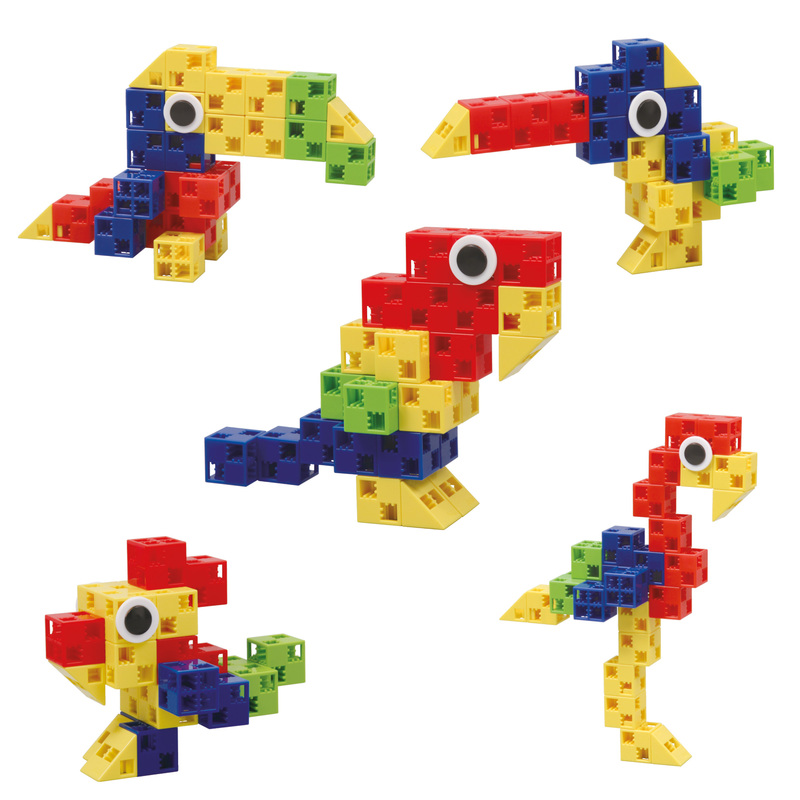 These are really fun building blocks that have a unique design. Each of the main blocks has six sides each one has a side that has as knob to latch it to other pieces the others have different patterns of holes for latching. 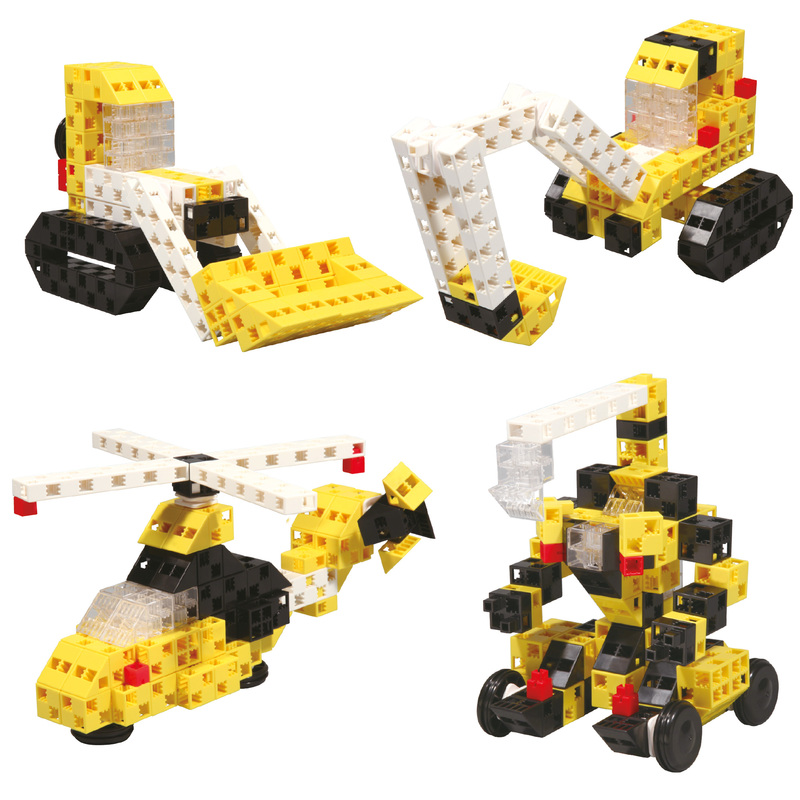 There are also specialty blocks that can be used with the main blocks to build these fun machines. This set comes with 100 pieces that can be used to make several machine designs. They are really fun to put together. They fit together well and are easy to assemble. The pieces are made of plastic and hold up well. There are ten different machine designs shown in the instruction sheet, however you can come up with your own designs as well. The things I like about Click-A-Brick is that they are easy to use, even for children. They are educational and build skills like problem solving, hand eye coordination, and following instructions. Finally they are well made and durable, as a mom this is very important when spending money on a toy. Things I think could use improvement. The instructions are extremely difficult to understand, they are only pictures and difficult to interpret. The box says it’s for children 5 and up but I’m 35 and had trouble following the instructions. Other then the instructions we really enjoyed playing with them. I just got this great building toy called Click-A-Brick. These are really fun building blocks that have a unique design. Each block has six sides each one has a side that has as knob to latch it to other pieces the others have different patterns of holes for latching. This set comes with 30 pieces that can be used to make several bird designs. They are really fun to put together. They fit together well and are easy to assemble. The pieces are made of plastic and hold up well. There are five different bird designs shown in the instruction sheet, however you can come up with your own designs as well. The things I like about Click-A-Brick is that they are easy to use, even for children. They are educational and build skills like problem solving, hand eye coordination, and following instructions. Finally they are well made and durable, as a mom this is very important when spending money on a toy. Things I think could use improvement. The instructions are extremely difficult to understand, they are only pictures and difficult to interpret. The box says it’s for children 4 and up but I’m 35 and had trouble following the instructions. There is only instructions for one bird the rest are just a picture of the final product with no instructions but to see if you can figure it out on your own. I found this frustrating. Other then the instructions we really enjoyed playing with them.